Aaron Brown.net – A collection of half baked projects and Ideas. A collection of half baked projects and Ideas. WSPRNet is a great free service and resource for aggregating WSPR spot data. It provides archives of the data which can be downloaded and analysed, and I have done this to some success previously (see here and here). However one thing this approach lacks, is the ability to view and analyse spot data in real-time. The existing method is inherently limited to the schedule at which I can download the data from WSPRNet.org, which in the interests of politeness is 1 month (when I remember). Unfortunately, there is no publish api I could subscribe to get a feed of spots in real time. If you know of one, drop me an email. This left me with a couple options, download the data frequently from WSPRNet, which is not very polite and generally in poor form. Or try and stand up my own spot aggregation service. I made use of Googles Cloud functions and Data store to create the service to store the spots, now that I had the ability to upload them where ever I wanted. These tools were chosen, as I didn't have to worry about infrastructure or servers, and more importantly they had a generous free tier which should do nicely for this. WSJTX makes a simple HTTP GET request to the service, with the data for each spot as query parameters. When I get some time, I might modify WSJTX to batch up spots as it makes a request for every station heard which is a little excessive in my opinion. But for now I just wanted something which worked. I also ensured that I made a request out to WSPRNet.org for each spot, to ensure that everything was counted correctly. To make use of this, you will need to build WSJTX from scratch, following the instructions here, with one small change. Once the code for WSJTX has been checked out apply this patch file, before continuing the build. Once WSJTX is built and configured, simply set the spot upload URL to: http://us-central1-wsprstats-163301.cloudfunctions.net/wsprGET? and that's it. You shouldn't notice any difference, and spots should still appear on WSPRNet as usual. Once I've created a way of viewing them I'll update these instructions. I got DSD+ compiled without any issues, just following the instructions as George M1GEO did, however I did run into a couple of issues trying to decode anything and have been unsuccessful as of yet. There is a JACK2 package in the raspbian repositories which I also installed for good measure, but found that the portaudio19-dev package will complain about it, but if you’ve already got dsd built you can ignore portaudio19-dev (the actual library is in the libportaudio0 or libportaudio2 package). As an aside, this should also have fixed wspr, fldigi and anything else that uses portaudio. This is where I ran into my next hurdle, dsd tries to open the soundcard at 48K, which the cheap Chinese usb sound card I was using didn't support so the program ungracefully segfaults, spitting vast quantities of errors to the screen. I did bodge round this by creating an upsampling virtual device, which did at least run. But as you’d expect nothing would decode given the limited bandwidth. George reports that using 96K worked better for him, and he has a trick for making it work which escapes me atm. Undeterred by this, I next tried to use an rtl sdr as the receiver rather than the ft857 I had been using before. This however proved to be unsuccessful. However I will detail how I attempted it and you may find it of some use. and this should decode any dstar on 145.150 MHz, however I was never successful at decoding either the two local repeaters VK3RWN and VK3RMM, or a local transmission. I believe the problem to be with the audio level output from rtl_fm. Playing it back it is significantly lower than the volume of the noise, however there are no options to adjust this. There is a tuner gain option for rtl_fm however none of the values I tried 1 to 10K had any effect. I would suggest maybe if your going to go down the rtl sdr route to use something like gqrx to demodulate the fm and raise the level before presenting it to dsd. However I haven’t had a chance to do so. A few weeks ago I gave a talk at the Geelong Radio and Electronics society (http://qrz.com/VK3ANR) about the history of the Linux operating system and some the applications relate to amateur radio. In this short article, I aim to follow up on that talk and address some of the feedback I've received from the members by presenting some of the applications mentioned and how they can be installed. Most of the instructions here should work for those using a Raspberry Pi, although some packages may require additional repositories in this instance. I'm personally am writing this using Linux Mint as my distribution and inspiration, although most things will transfer directly to Ubuntu and it's many derivatives. Below is a review I wrote for the Geelong Radio and Electronics Society (VK3ANR) on the Raspberry Pi model B+ that was released earlier this year. 2 years ago, the Raspberry Pi foundation, launched the original Raspberry Pi Model B, a 700MHz ARM processor with 256MB of ram, USB, ethernet, HDMI and a whole host of other I/O and pins for good measure all in the area of a credit card. Since there have been three other Raspberry Pi’s released: the cut-down model A, aimed at schools; the model B - version 2 which brought out more of the GPIO that was previously inaccessible and doubled the amount of RAM to 512MB, and the compute module for embedding in devices. 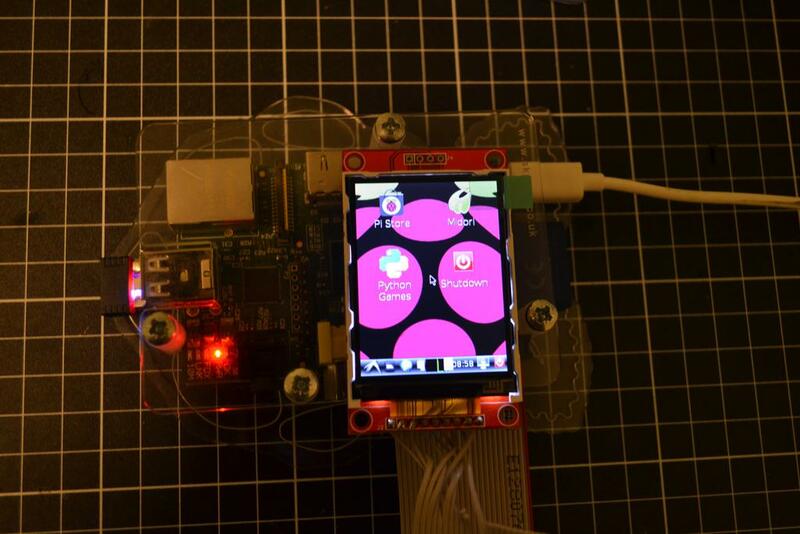 This page describes how I went about connecting a small 2.2" TFT display to the Raspberry Pi. This page is mainly for reference about what chip is in the display and what modules are required to make it work. X server running on the 2.2" TFT in portrait mode. The display is I purchases is a 2.2" Colour TFT with a resolution of 320x240. It is controlled with the ILI9340C LCD driver chip via the SPI bus and runs on 3.3v. They can be found on eBay for a ~$6 AUD. On a whim I went out and added a STM32F3-Discovery Development board to a rs-online order. 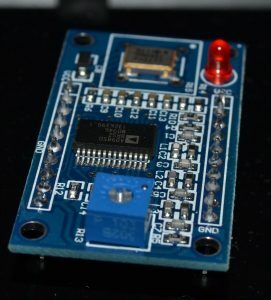 The board contains an STM32F303 ARM-Coretex M4 processor capable of ~70MHz and has four 5 MSPS ADCs, 12 Fast DACs, hardware DSP and FPU; making it an ideal candidate for building a software defined radio. Although before I could get to that I had to setup the tools needed to actually program the thing. Having never programmed an ARM chip before (well not bare metal anyway). Here are the steps that I went through to get it working. Most of which are taken from articles published here: http://engineering-diy.blogspot.com.au/2012/11/stm32f3-discovery-eclipse-openocd.html . I'm just collating them all together for reference. 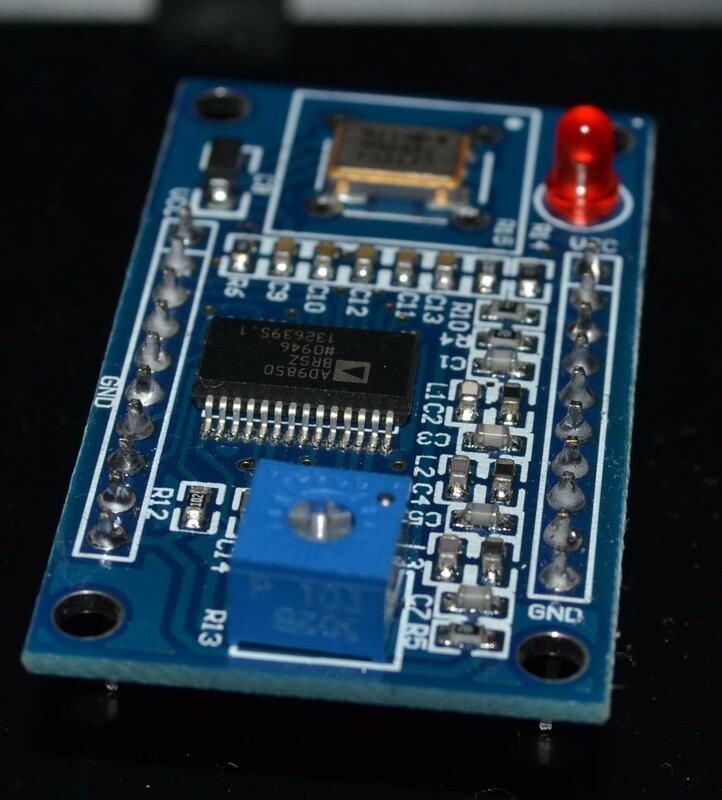 I recently purchased a small DDS board from ebay for $5 for use in a future project, I'd also seen on the internet a frequency counting library for the arduino and thought this the perfect time put the two together, just to see how they both worked. A while ago I decided to venture into the world of Ham Radio. Under the advice of George I went out a purchased a cheap DVB USB dongle to use as a Software Defined Radio (SDR). I had thought about using it with the Raspberry Pi I bought a while ago. Having bought an RTL-SDR compatible dongle recently I thought I could see what I could make it do. So one for the first things I did successfully was tracking planes using ADS-B. ADS-B or Automatic Dependant Surveillance Broadcast (http://en.wikipedia.org/wiki/Automatic_dependent_surveillance-broadcast) is used to track Aircraft, each plane is fitted with a transmitter which broadcasts its position, heading, altitude, identification and a number of other things on 1090MHz.